Post Tagged with "The Philippines"
More than 80% of Filipinos are Roman Catholics, a result of more than 300 years under Spain. The people adopted religion as an important part of their culture. One of the best ways to know the story of towns and Philippine history in general, is to look at the churches and historical markers. 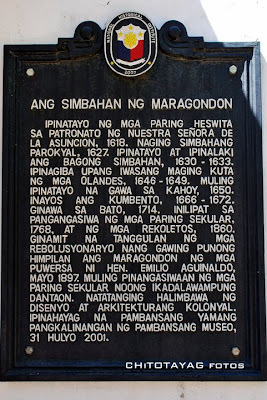 Take for example the Maragondon Church in Cavite (Cavite is a province south of the capital Manila). Paintings speak a universal language. The painter has this duty/burden/pleasure to express himself to his audience. For many years, Filipino artists have shown their remarkable skill through this medium. Our experiences as a people are reflected through their works and they serve as an inspiration for this generation to take it a notch higher. The most notable painter who gained international recognition was Juan Luna. His work, the Spoliarium, won the gold medal in the 1884 Madrid Exposition of Fine Arts. The Spoliarium by Juan Luna y Novicio. The first thing one needs to know about language in the Philippines is that we have lots of them. We’re an archipelago of different cultural communities with various languages and dialects (not to mention foreign influences that enriched our languages). English is widely spoken here and we also have the vernacular Filipino with Tagalog as its base. Up to this day, this has become an issue to some who belong in other ethno-linguistic groups. It deserves a separate post. This is the first in a new series of collaborative posts, where we explore different social situations from the point of view of our contributors around the world. Today’s topic: how to greet people in different countries. The easiest way to know a country better is by looking at the meaning of its flag. On June 12, my country will celebrate its 112th year of independence. Mabuhay! Long Live! From Manuel L. Quezon III’s Tumblr. A dog is recognized as everybody’s best friend. They’re loved almost all over the world. In my country, dogs are met with the same affection but they also face stiff competition against our beloved carabao. Wow Carabao! This is our best friend. Filipinos see carabaos as faithful partners in life. 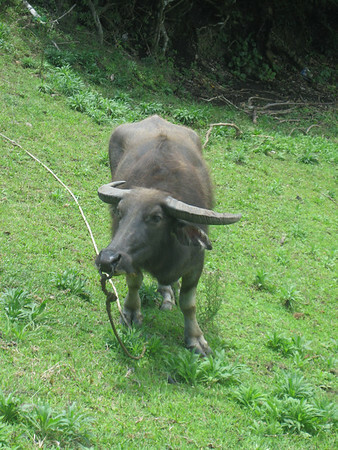 The carabao or kalabaw is a water buffalo that is endemic in Southeast Asia. Aside from helping our farmers plow the fields, this animal is our source of transportation, milk for sweets and cooking, meat, raw materials to design furniture, coin and mascot designs, body armor, children’s songs, jokes, and expressions in the vernacular.